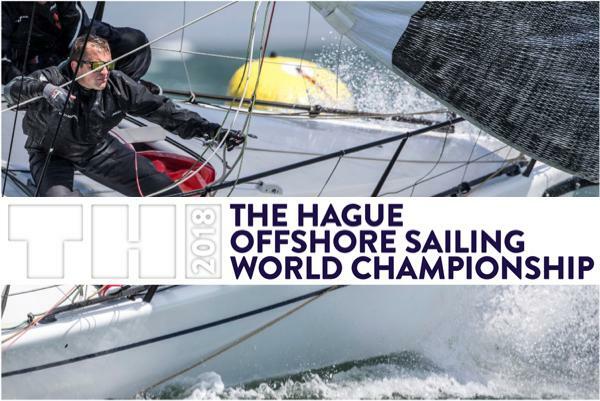 With yet another sunny day here on the Dutch North Sea coast, the final race to conclude The Hague Offshore Sailing Worlds on Friday looked like it could be easy. 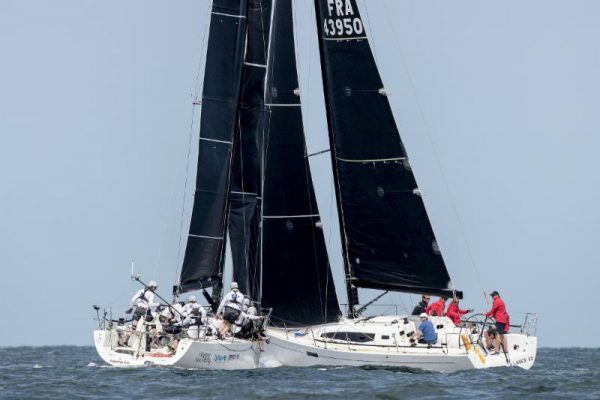 Yet the weak and shifty northwesterly 8-9 knot breeze kept frustrating race managers as they tried to set a square course that would be sufficient quality for a high stakes final race to this world championship. Podium positions were on the line in this race in all classes. 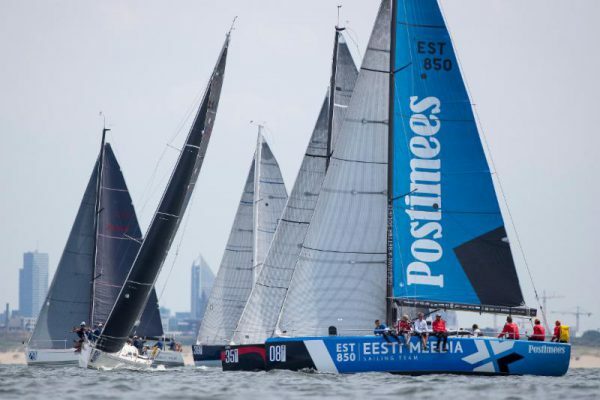 But even once the courses were set on the Class A – B and Class C course areas, it was the sailors that now held up the starts with aggressive moves. Even if the wind was low, tensions were high as four recalls were necessary in Class B, even use of the Black flag, before a race could be successfully started, and three in Class C.
In Class A, the gold medalists, Karl Kwok’s Pac 52 Beau Geste (HKG), opted to get a one-day head start on their journey to their next event, the Copa del Rey in Majorca, and thus elected not to race today. So Tilmar Hansen’s TP 52 Outsider (GER) was virtually unopposed to take today’s race and the Silver medal place on the podium. The Bronze medalists, however, had to work for their spot in Class A today and nearly lost it. With Outsider so far ahead, the fight in the middle of the class was for second in this race, and Bas de Voogd’s Carkeek 40 Hitchhiker won this by earning a second place in both ORC and IRC scoring. 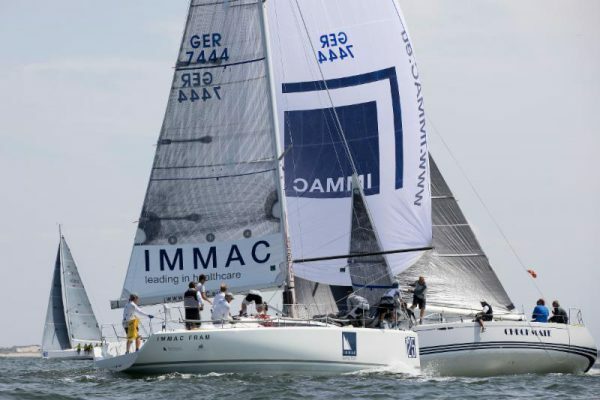 However, the sums of the ORC and IRC scores in this race for Ker 46 Lady Mariposa (GBR), Tea Swan 45 Blue Nights (FIN) and Kirsten Harmstorf’s DK 46 Tutima (GER) were the same (8 points) so when summed and shared among the three boats, they earned 4 points each. 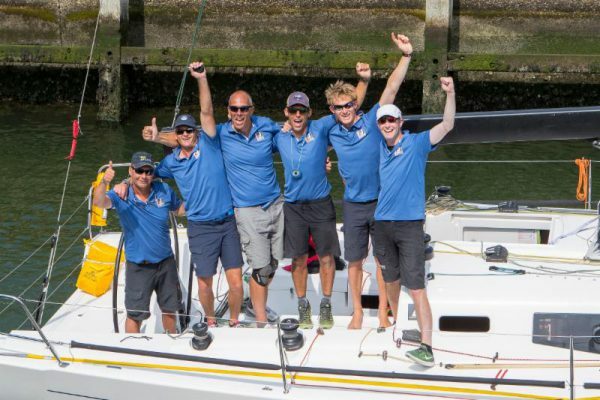 This left just a one-point margin between Hitchhiker and the Rotterdam Offshore Sailing Team’s Ker 46 Van Uden (NED) led by skipper Gerd-Jan Poortman, with Van Uden taking the Bronze. In Class B, the Norwegians were well-assured of victory for both Gold and Silver. Claus Landmark’s team on his Landmark 43 Santa had a late night, knowing they had passed their measurement checks and had victory assured so long as they did not misbehave. The team on Torkjel Valland’s sistership White Shadow was a little less confident when there was a small measurement issue discovered, but it turned out to be very minor and did not change results. Besides Landmark, the Santa team was composed of Calle Andersen, Catherine Andersen, Maren Magda Book, Morten Christiansen, Verard Guttormsen, Espen Guttormsen, Petter Haglund, Lars Landmark, Roger Nilson, and Sverre Trangerud. So the fight was on for Bronze, and just like in Class A the team in third yesterday nearly blew it today. One contender, Martin Estlander’s X-41 Xini Freedom (FIN), earned a bullet among their other strong inshore finish scores of the week. Had Tiit Vihul’s X-41 Olympic (EST) not placed 4th today and slipped just one place to 5th, then there would have been a tie-break with the Finns which would allow them to take Bronze in this class. But the big story for today day was the Gold Medal fight for supremacy in Class C. Patrik Forsgren’s modified First 36.7 Pro4U (SWE) knew this personal fight was coming, they anticipated it last night, and knew they were at risk since they are slower than Gideon Messink’s J/112E J Lance (NED). The chess move was this: due to the points values of discards each team had, and the shrunken gap between them going into this final race, there was a chance for J Lance to take the lead if they were able to push the Swedes back into the pack far enough to have a result worse than their current discard of 24th, regardless of where other boats finished. 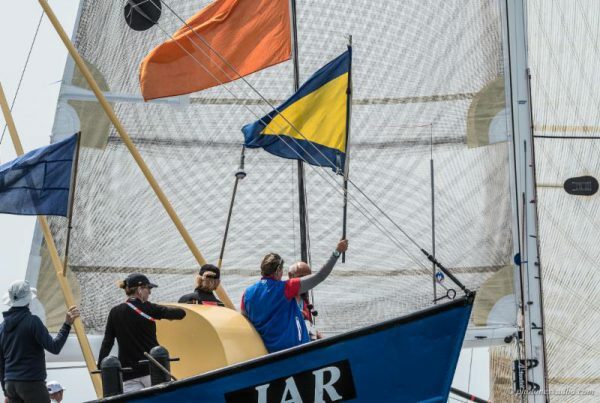 J Lance thus executed an aggressive plan of match racing Pro4U in the pre-start and the first leg of the race, pushing them back tack for tack, and staying close on the first run to hit them again on the second upwind leg. The plan worked, with the two deep in the pack, J Lance correcting to their discard score of 43rd, and Pro4U correcting to their discard of 39.5. J Lance was raced this week by the Dutch team of Jelle Dingemans, Nic Bol, Rick Bomer, Yves de Block, Martin Rinkes and Ko Stroo. Left alone, Kai Mares’s Italia 9.98 Immac Fram (GER) was then free to earn a respectable 3rd in this race and advance to the Silver medal podium position. The Corinthian division winners in each class were Ralf Lassig’s XP 44 Xenia (GER) in Class A, Frans Rodenburg’s First 40 Elke (NED) in Class B, and Pro4U in Class C. In all there were 24 approved all-amateur Corinthian teams in this event. The next planned Offshore World Championship will be in Sibenik, Croatia and held over 1-8 June 2019.